I attended Doshisha Univ. 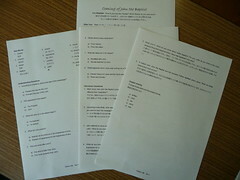 Bible class 10th, on Tuesday. They welcomed me to study with them heartwarming atmosphere as well as Kyoto Univ. 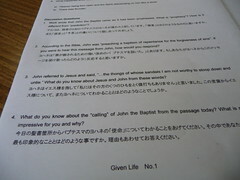 BibleClass. So I really enjoyed studied with them. Actually I studied twice about John6:14-21 and Mark6:45-52 before at Kyodai Bible class,but I learned a lot from other’s opinions. There’s no useless things to study the Bible many times. I feel Jesus’love and mercy toward the disciples from this verse. but He never dictates to us, but walks along with us having His mercy and love. a cheerful conversation with Jesus, rowing the boat to head to the shore. We shared our own testimonies with each other the end of the class. I realized His presence was amongst us.